The image says it all really - Brittany puts another year under her belt, and I hope it's not too ungentlemanly to tell you all the fair lady's age - she's twenty today! Hm, but I digress! 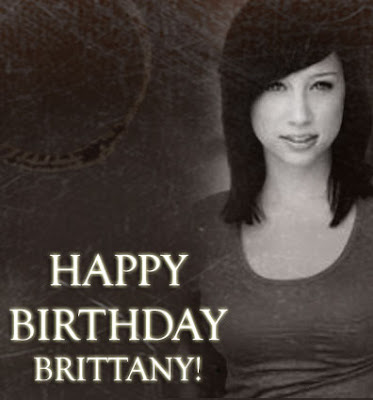 Brittany, from myself, Troy, the crooks and cronies at Back to Frank Black as well as the fans who support us, we wish you a happy birthday full of hopes and aspirations for the perfect future! If you missed Brittany speaking to us, here's the Christmas episode of the Millennium Group Sessions with Brittany, Megan and Lance chatting for the first time in many years! 2 Responses to "Happy Birthday Brittany!" LOOK AT THAT LOVING PICTURE!!! Now all we need is a little background music "backstreet´s back all right!!!!!" 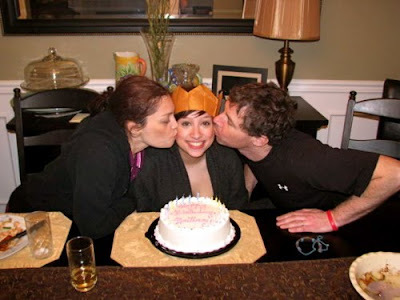 Happy Birthday, Brittany! Hope you had a great day. It was wonderful to hear you on the Black family reunion podcast at Christmas, and here's hoping that translates to the screen sometime soon!